If you could learn the secret of how to control your responses, how to find that switch in your mind which would allow you to energize and motivate yourself, you would never again feel conflict, guilt, fear or depression. You can learn to observe vain, rage-laden people around you with the calm composure that will serve as the compassion, patience, love and correction they need and may even come to respect. This simple procedure will prove to you, through your own experience, that control over yourself without unbearable suppression is not only possible, but vital to your health and happiness. 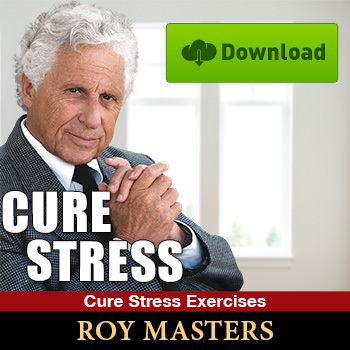 Roy Masters recommends you first practice using "Be Still & Know" before beginning the "Overcome Stress, Fear and Pain" exercises. "To break a habit or solve problems, stop trying. I know it is very important to you, but until now you have not succeeded your way, despite all your efforts.